Real Estate Interceptors, are you using them, what do you think of them? 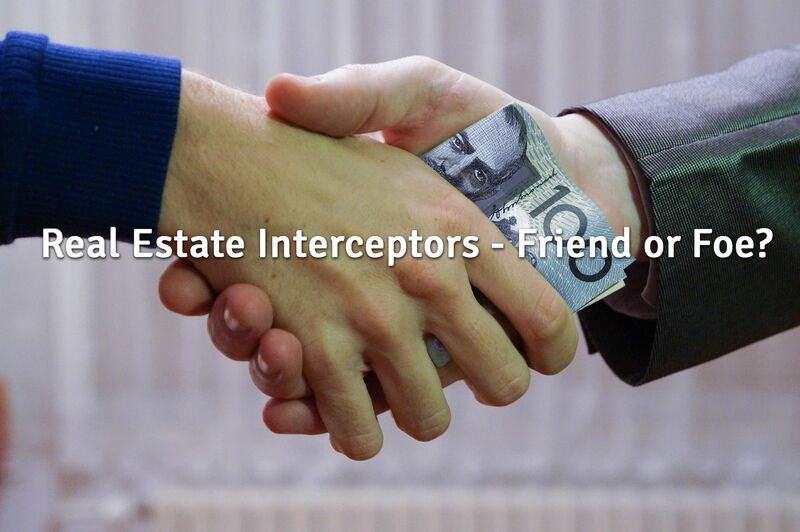 Real Estate Interceptors is a term I use to describe websites that intercept enquiries, in the case of real estate, those enquiries are from either potential sellers, buyers, landlords or tenants. These are enquiries that by all rights should go to local real estate offices. How do these sites intercept the enquiry? The interceptors main goal is to appear on page one of Google. This is how potential sellers, buyers, landlords and tenants find them. You will also see some advertising in the media as well. This is an example of how interceptors work…. 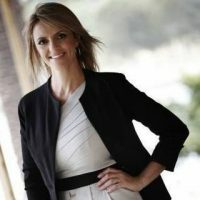 A seller types into Google as an example ‘Real Estate Agents (your suburb)’ or ‘Real Estate for sale (your suburb)’ When they hit search, a whole lot of websites appear on page one. The ones that appear at the top will most likely be what I call the interceptors. They are easy to see as they are sponsored paid advertisements like you can see below. These companies spend HUGE money to intercept YOUR real estate enquiry. They call themselves lead generators – They promote easy listings to real estate agents. They promote that they do all the work and as a reward, they supply leads to real estate agents. In return, the real estate agent just has to pay them a 20% – 25% referral fee of the ENTIRE commission. Not a bad income for running ads with the sole intention of intercepting leads from a website so they can ‘sell’ the leads back. The interceptors are also very good at converting the lead. They find out what works for their ‘opt ins’. They test results. They are also good at following up the enquiry. They place all leads on a very strict follow up system. Hang on…. Wait. Real estate agents spend millions of dollars every year to promote property. Imagine if real estate agents focused on ONE thing. If real estate agents didn’t allow referral sites to get on page one of Google to gauge their hard earned commissions, there would be no other third party sites. Please read this and consider this carefully. If every real estate office just consistently promoted themselves… promoted their own companies and their own properties for sale and lease, there would be NO real estate interceptor sites. Promote yourself, Promote your agency. Ok.. again I might have upset some people. Some real estate agents LOVE these sites.. Some think they are amazing. They don’t have to do anything to find leads. They just need to make sure they pay the interceptors a fair chunk of money. They are ok with that. David Crombie, EAC CEO, also agrees and believes that the industry is creating a bigger issue by supporting these sites. David believes that these sites are not always presenting factual information about the agents, their listings and statistics. He is aware of some agents that have even resorted to legal action to have their details be removed from these sites. As for the consumer, David also questions if are they getting the best agent? Maybe a lower fee but not always the best agent. David actually called a few of the supposed number one agents on one of these sites and they had never had anything to do with them. At the moment the interceptors are largely paying to appear on page one of Google.. But they are working on getting themselves to rank organically. When this happens, this will be harder for you to gain control. So.. there you have it.. that’s really all they do. Do what they do and attract the lead yourself. Do what they do and keep your 20% – 25% referral. Trust me it’s not that hard! Also, make sure that you put in place your prospecting sources! You should have multiple ways to prospect for listing leads. If you don’t contact me ASAP. I believe this is false and misleading marketing. Their advertising says that they find the best agent. I don’t believe this to be the case. Most times it’s the agent that’s prepared to accept their 20 – 25% referral fee. The online world is full of smoke and mirrors; it is also full of shiny objects that people chase. We need to take stock, we need to get grounded. We need to focus on our own businesses and our own online presence. We need to stop feeding the interceptors. Put that money into your own bank account to pay for your children’s education. Put that money into your own business to generate more jobs in your region. Put that money into your own pocket to do whatever the heck you want! We work too hard to give our money to these third parties. They will become another issue for the industry to combat in the future should the industry continue to pay them. Do you think the top agents in our industry rely on interceptors and pay them for leads? We are interested to know your thoughts. As part of their support services EAC has asked me to assist members with improving their marketing and social media presence. You can start today by clicking here to take advantange of my special offer.